In bioprocess operations, flexible tubing is frequently used for process development and production. As liquid flows through the tubing, it is desirable to minimize contact with other components that may contribute to hold-up volume and may be contaminated by process fluids. 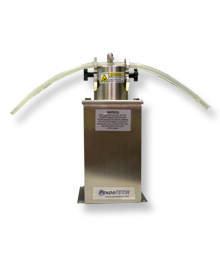 The PendoTECH Tubing Throttle Valve™ enables pressure or flow control by varying flow path area by only contacting the outside of the tubing without the valve contacting the fluid. It can be used with different types of tubing (included braided). The setpoint is easily adjusted, in realtime, with up/down arrows with local setpoint entry. A remote control option is also available. If default settings are not optimal, there is a one-touch real-time adjustment of proportional value PID control setting. 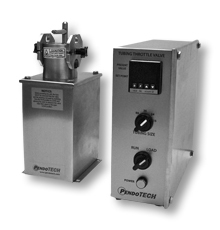 The PendoTECH Throttle Valve™ is available as the Standard Model with built in setpoint controller or Remote Position Control Model. It can be used with the pre-set different tubing sizes with a range selectable on the front panel from ⅛ inc ID to ½ inch ID with other sizes available upon request.